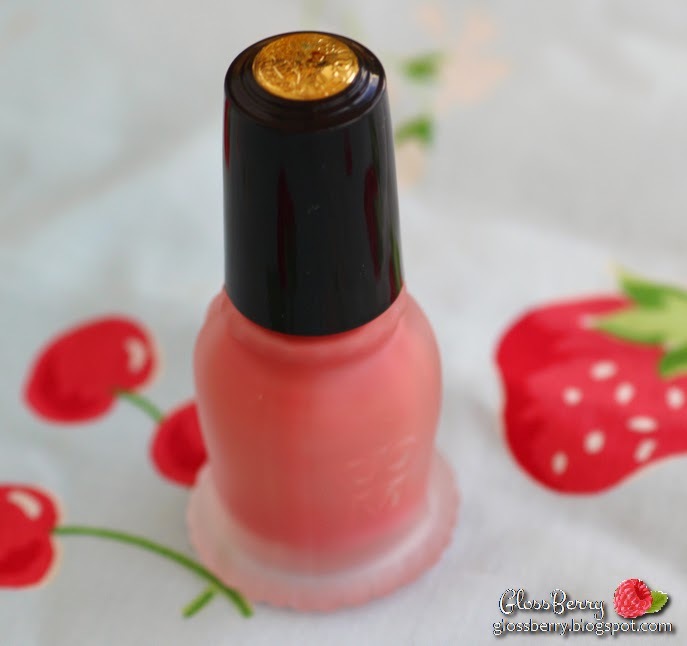 At first glance, this blush is shaped like a nail polish bottle. The color can be seen through the frosted glass and there are a lot of cute elements in the design, as per the brand's tradition. 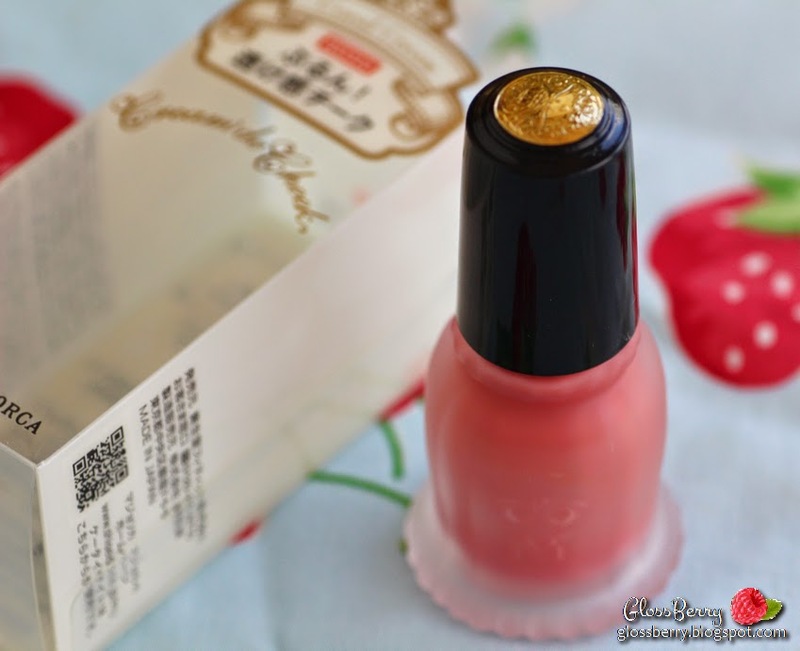 Majolica Majorca is a subsidiary of Shiseido, the cosmetics giant from Japan. 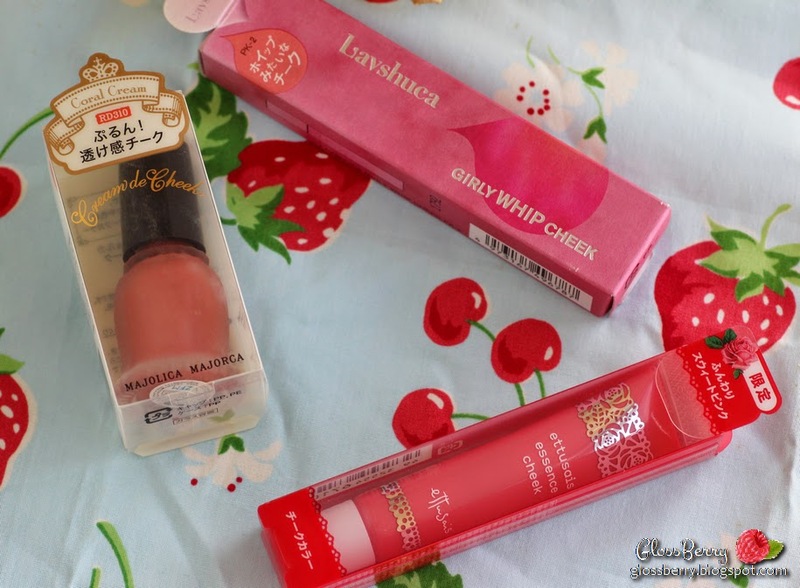 I am considering writing a separate post about the Japanese cosmetics market which contains a few major players - gigantic companies that contain under their umbrella many sub-brands, aiming to different audiences at different price points. 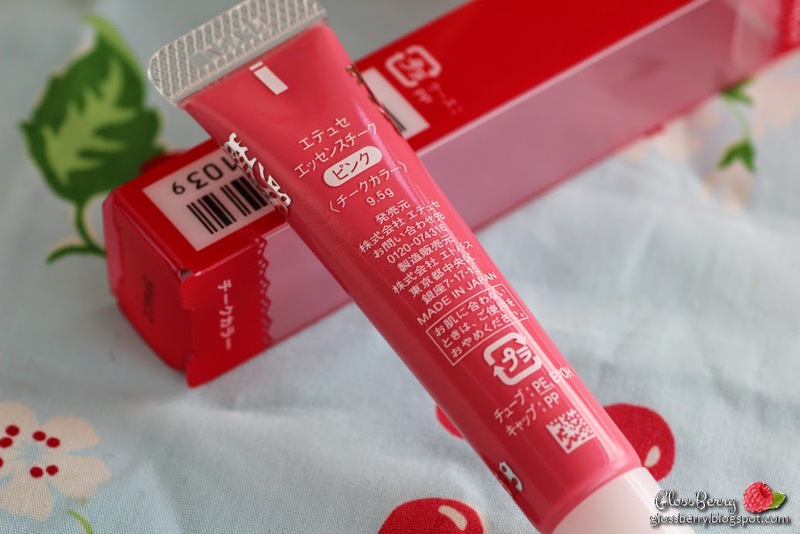 Shiseido is undoubtedly one of the largest ones. Perhaps you are familiar with the mainstream cosmetic line of Shiseido, however in Japan Shiseido carries a large number of brands - Maquillage, a quality line aimed at women who wish to indulge, Majolica Majorca, a young line with a lot of fairy tale motifs, Integrate, a modern line, Cle de Peau - ultra-luxurious line, and these are only to name a few. So, Majolica Majorca is a magical makeup products line, that is priced fairly friendly, and aim at a young and fantasy enthusiast crowd. 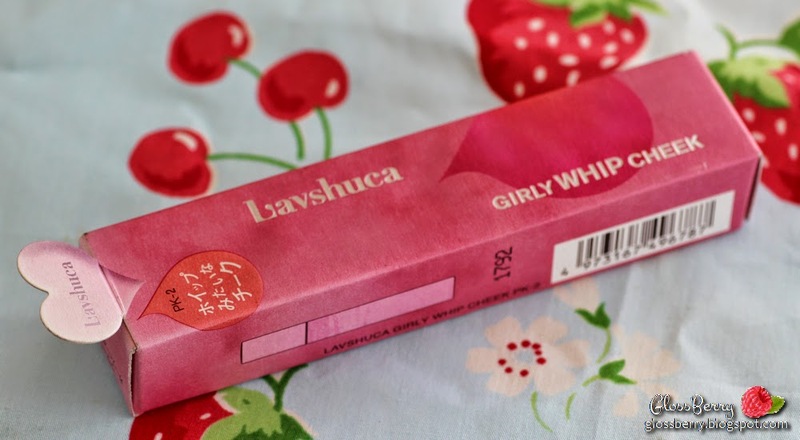 Sweet packaging, accompanied by campaigns that are saturated with fairy tale imagery are a definite eye candy and have conquered not only Japan and Asian market but the hearts of the western girls as well. 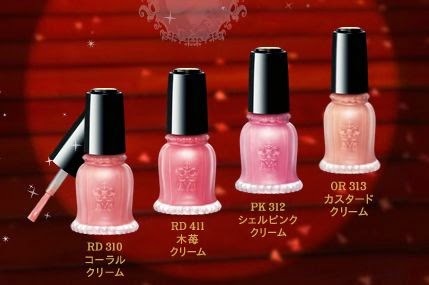 When these blushes launched in 2013 they created a crazy buzz online, which began in Asia and quickly spread to the rest of the world, as these ultra-feminine bottles could not go unnoticed. 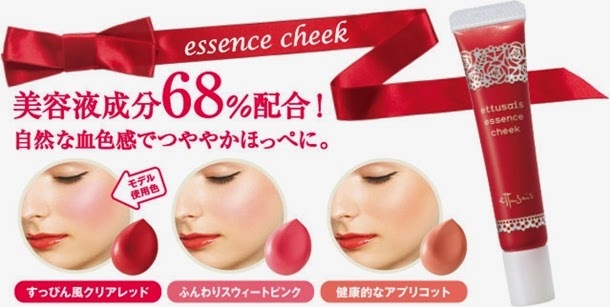 Liquid blush Cream de Cheek launched in four colors typical to the Japanese market - orange, baby pink, coral and raspberry red. After playing with all of them at the counter, I chose the shade RD310 - Coral Cream, a lively vibrant color that gives cheeks a healthy flush. 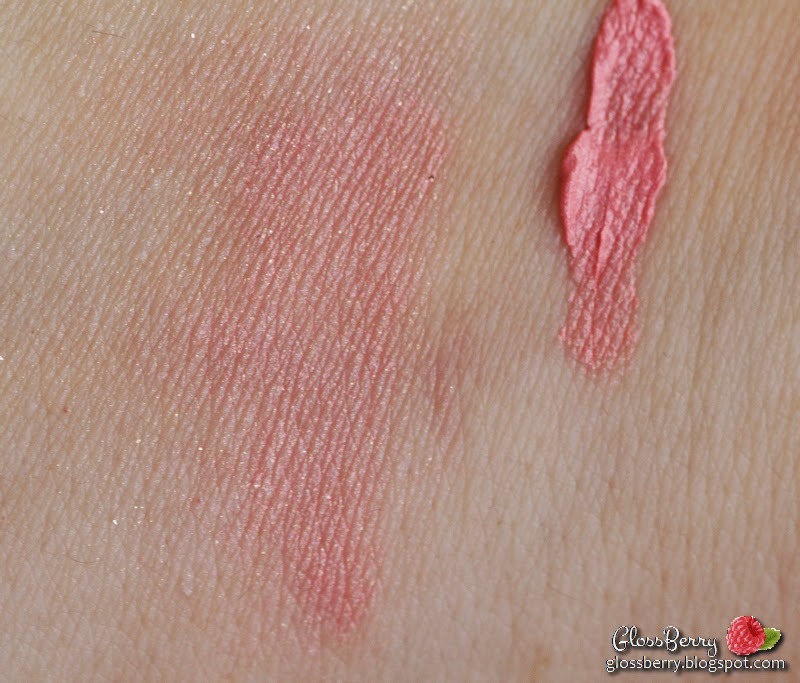 The blush itself is quite watery in texture, so do not let the name Cream de Cheek fool you, this is not a cream product. 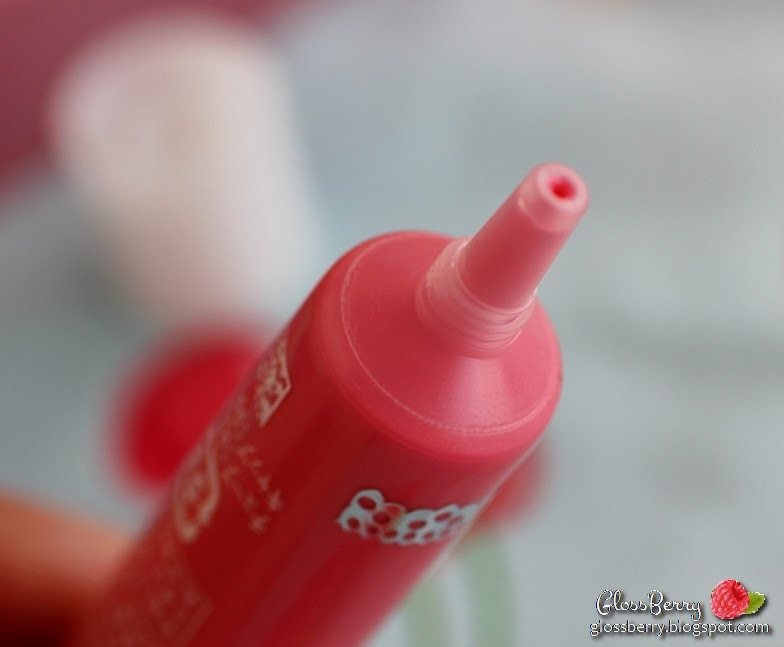 Bottle comes with a brush applicator, just like a bottle of nail polish, and to enjoy the best performance of the blush it is very important to shake well before use. 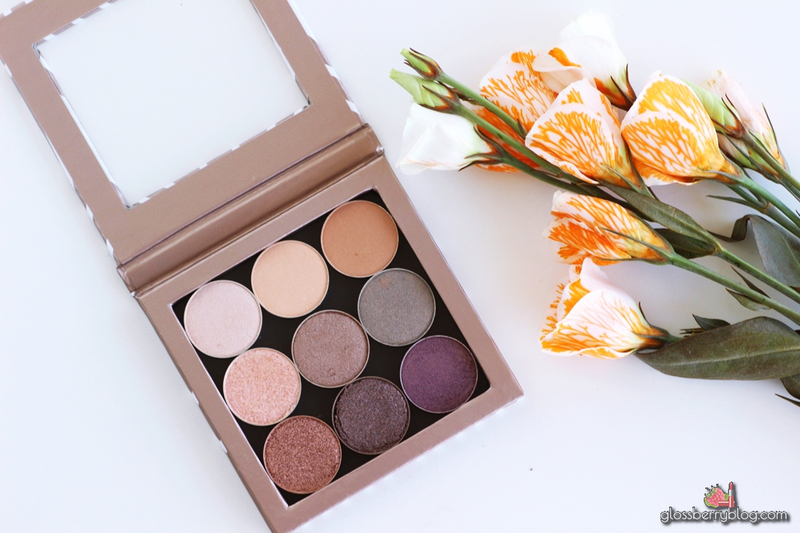 The blush itself is very pigmented, and a dot or two on the cheek is enough get full coverage. The blush blends seamlessly into the skin and dries to matte finish. It is very lightweight and you wouldn't notice it is there once set. The staying power is excellent as well - over 10 hours for me under setting powder. Its price in Hong Kong was 118HK, I bought mine at SASA obviously. At the cashier I found out it was 50% off, which means only 59HK. I do not know what I was thinking and probably being at a frenzy affected my good judgement - I should have ran and take all four colors. Why hadn't I? who knows. I can only cry to you about it now. I totally recommend this to anyone who likes a nice flush of color in a light liquid texture, that blends into the skin naturally, and is also resistant for hours. And it is cute, let us not forget. As with all products Majolica here too we can find great attention to detail, such as gold stamping on the cover, embossing of the letter M on the vial, romantic margins and milky glass bottle. Just be careful with in on your dressing table. 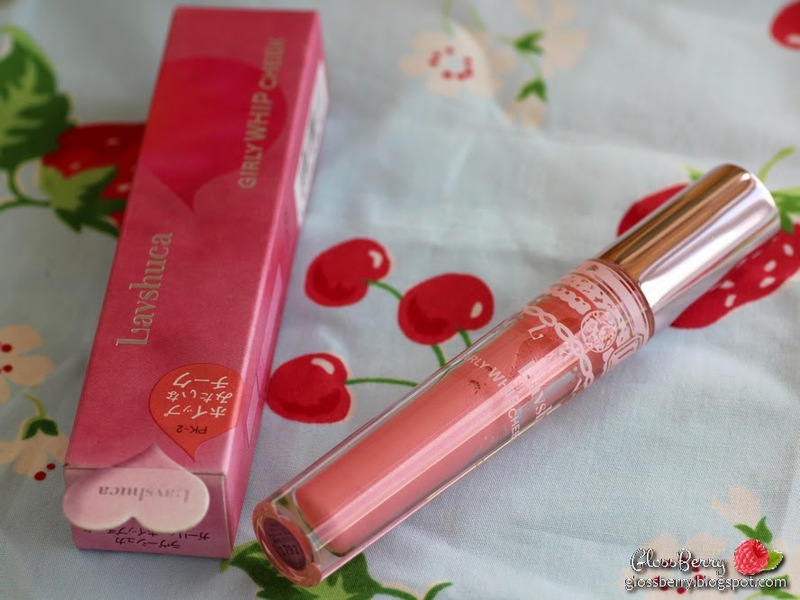 Lavshuca is a line I rarely reach out to - it's cute and nice, but the best of quality products and pigment. In other words, just excellent for young women getting into cosmetics world, which is what I am not for many years now. 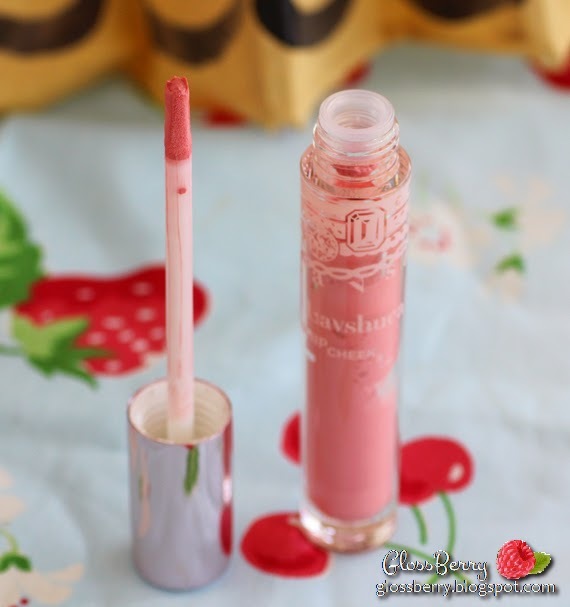 However, when I walked with a slight condescension pass their stand, a prduct caught my eye this - a blush in a tube that looks like lip gloss. 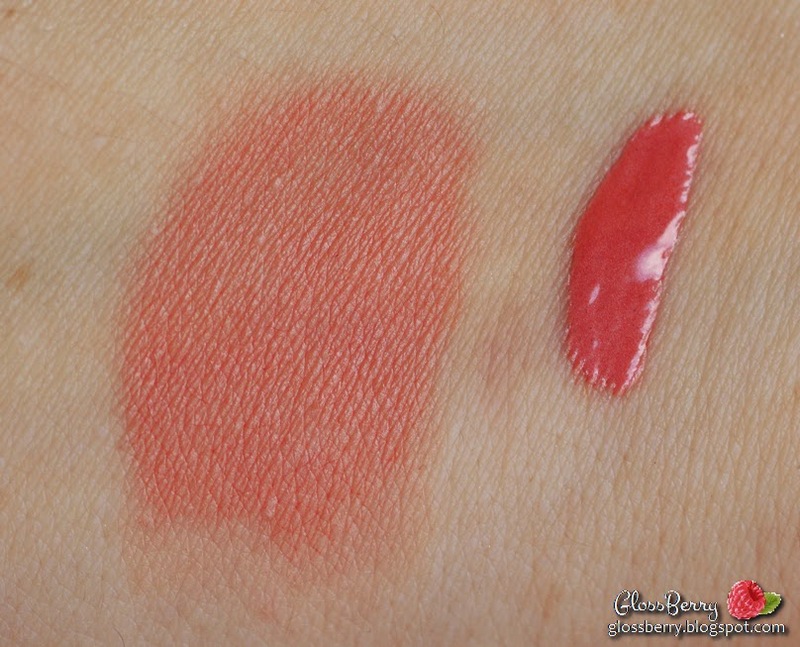 I swatched, liked it and bought the popular color (Apparently) PK-2, which is slightly pink and a tiny bit of orange-y. The series has three additional colors. The packaging really reminds me of a lipgloss, and a the applicator is a narrow sponge. 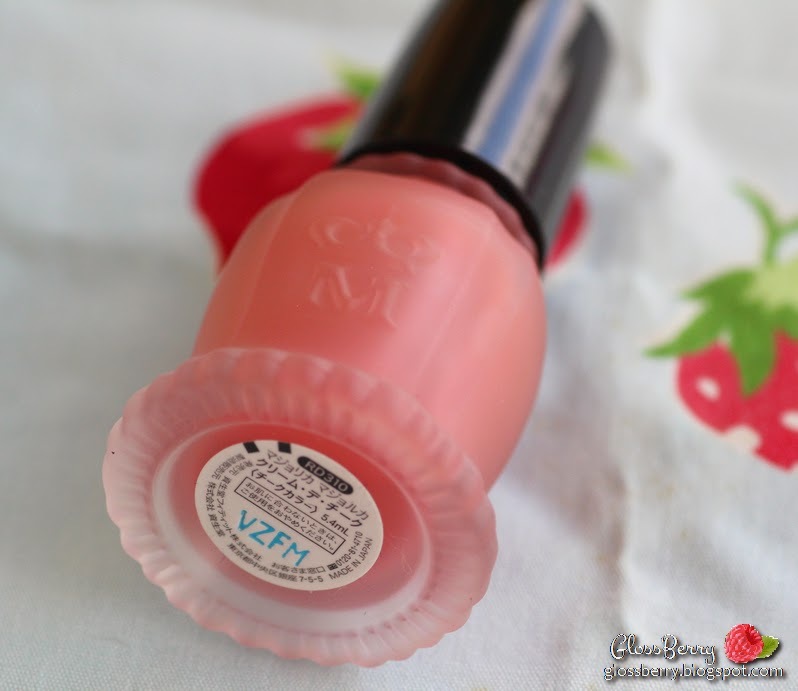 The blush itself is very creamy, velvetty and moussy in consistency and light in texture. Is not liquid, but quickly sets into a velvet cream, so maybe I was wrong abit with the title. of this post. Oops. About the performance - the blush provides a sheen to the cheeks and a subtle flush of color. 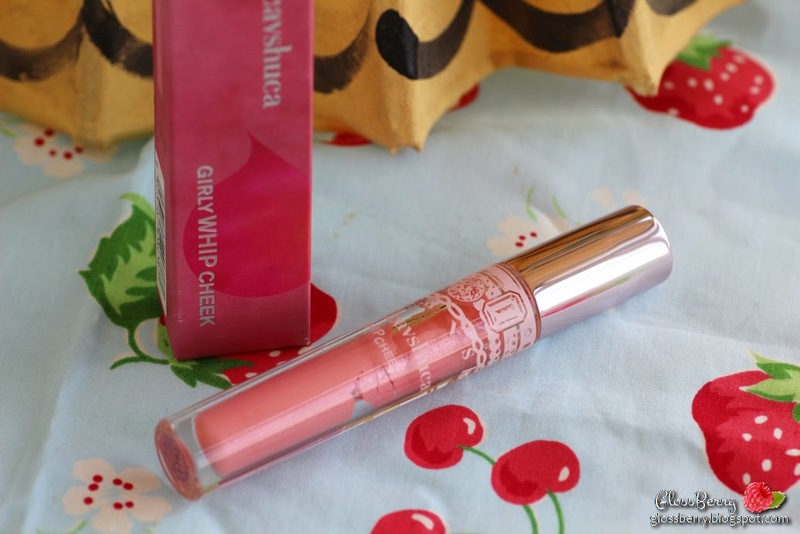 Very suitable for those looking for a sheer coloured blush. It works great for me also as a highlighter over another blush, and I am pale enough that it would show on me on its own. 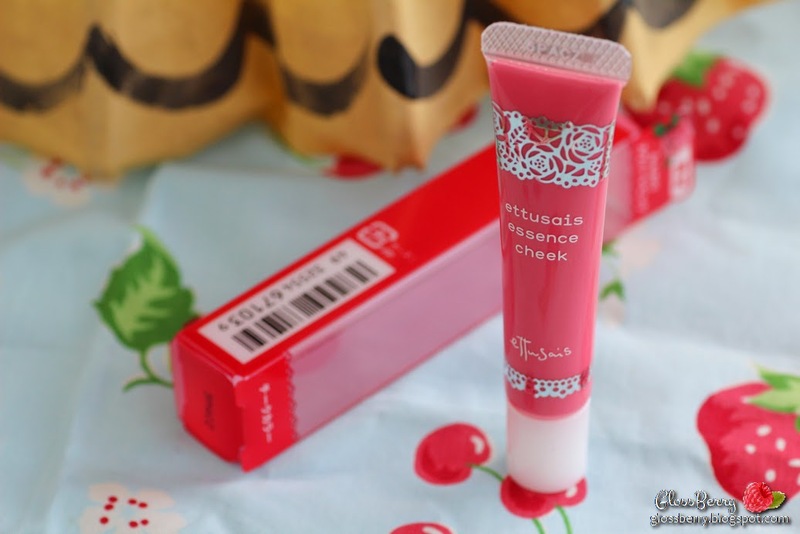 I use the applicator directly on the cheek and blend with my fingers. Is this a must product? No, but if you're looking for a delicate blush in a matte finish with a mousse texture that dries with a little shimmer (it turns out there is such a thing) - then it is worth a shot. Price in Hong Kong was 95HK. 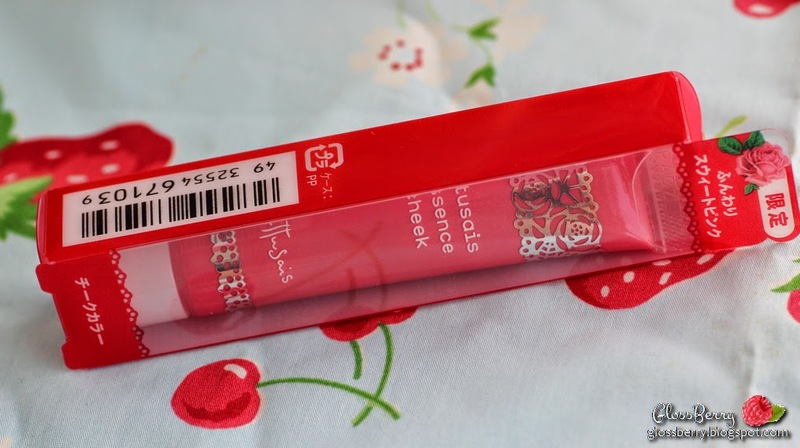 Ettusais is a Japanese brand that is less known than the others, but its products are considered to be of high quality in the Asian market. 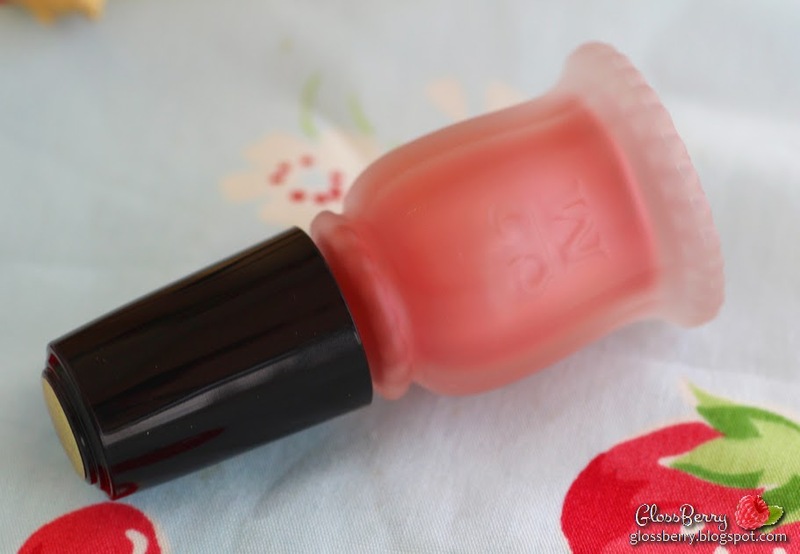 The company's liquid blush, cheek essence, was released as a part of a limited collection in spring 2014, and the series consists of three colors - orange, pink and red raspberry. I reached, as usual, for the friendly pink version. Diversity of products is not huge at Ettusais but the range has some special products that are well made. I did not find a lot of reviews of this product online, but I loved it when I tried it at the stand and bought spontaneously. (Bought at SOGO in Times Square, a Japanese-themed department store). 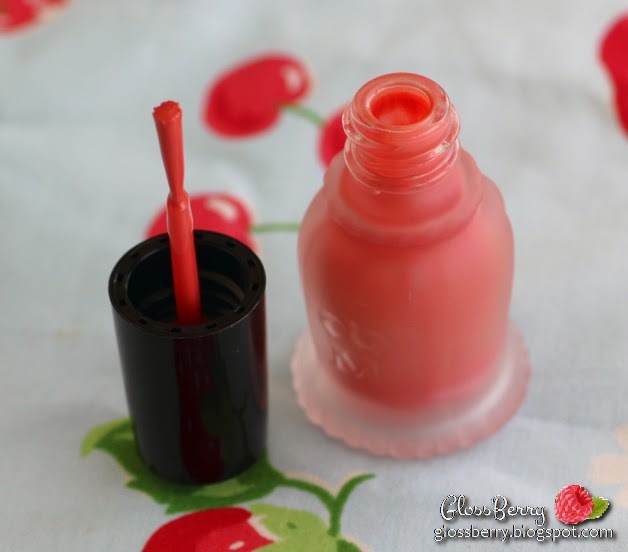 This liquid blush is rich in texture and highly pigmented. The tube allows an easy product dispense, and a small drop on each cheek is enough to create a rich and vibrant color. 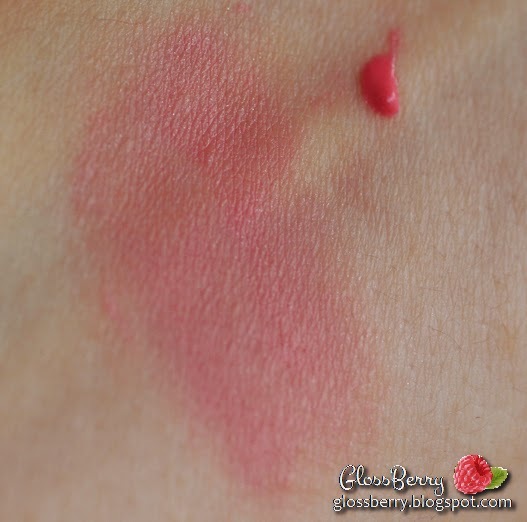 This blush, unlike his predecessors in this post, provides a glowy finish and can be used above or below other blushes, as a base, or on its own. The pink color is pinky indeed, so in order to avoid the Matryoshka look (google Matryoshka and see for yourself) you should use with a light hand. 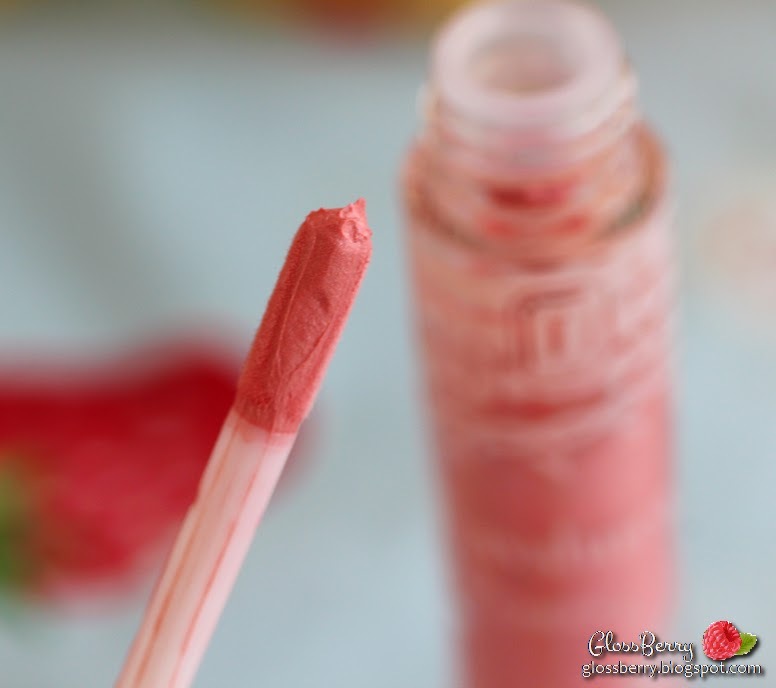 I don't think anybody can ever go through this tube of blush. Overall I am satisfied with the product, the staying power is good and it gives cheeks a healthy glow with really small amount of product. The price was 120HK Hong Kong, but on Ebay the charge no less than 20$! Unbelievable. 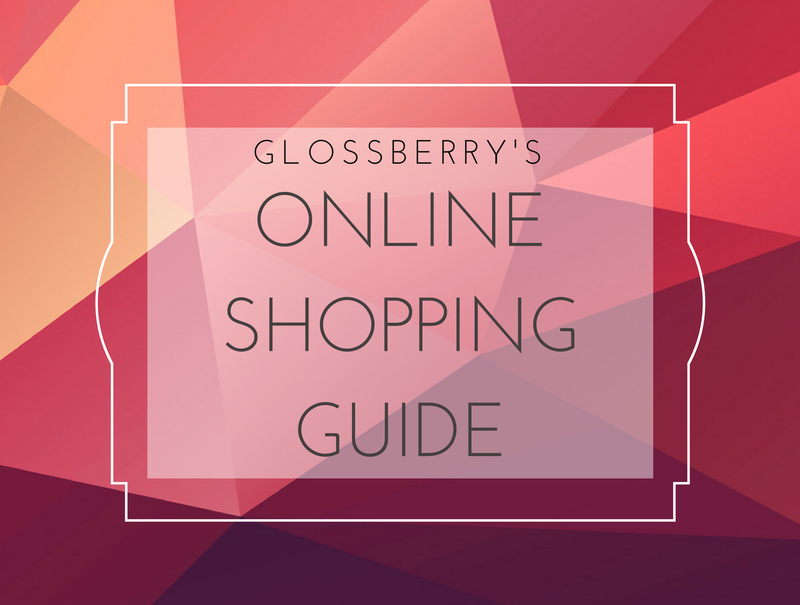 Would love to hear from you about your favorite Asian blushes! Please be sure to like the blog's facebook page and visit my Instagram!